This comprehensive guide includes information and resources about pregnancy, labor, and postpartum. It's specifically designed for young people aged 16-24 who choose to bring their pregnancy to term. Birth Justice means something different to everyone, and while ICAH was not able to include all of the physical, emotional, social, and legal components of birth in this toolkit, it offers a solid starting point to your journey as a young parent. 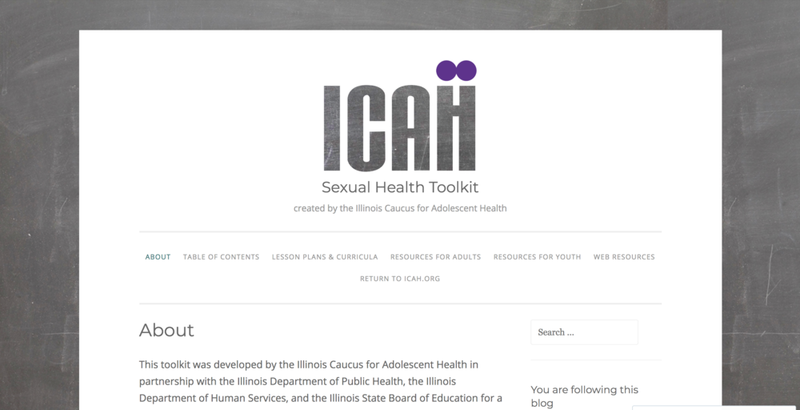 In partnership with the Illinois Departments of Public Health and Human Services and the Illinois State Board of Education, we've developed a resource for professionals who provide adolescent services. School personnel, public health staff, and community-based providers such as nurses, counselors, and caseworkers will find information, cutting-edge approaches, and effective practices that can influence their work with the adolescents they serve. When it comes to youth in Chicago, there are plenty of statistics describing them as “at risk." Twenty Chicago youth leaders conducted participatory action research in order to create youth-friendly guidelines and review services around the city. Enjoy helpful information and advice written by youth about your rights, what to do, and what to say when you arrive at a healthcare location. Know the difference between feminism and womanism? Get the lowdown on the history and guiding principles of the RJ movement.